Young and audacious, the pro-European centrist Emmanuel Macron is the new French President. With a substantial majority of 65%, he robustly defeated the Front National’s Marine Le Pen at the second round of the French presidential election. 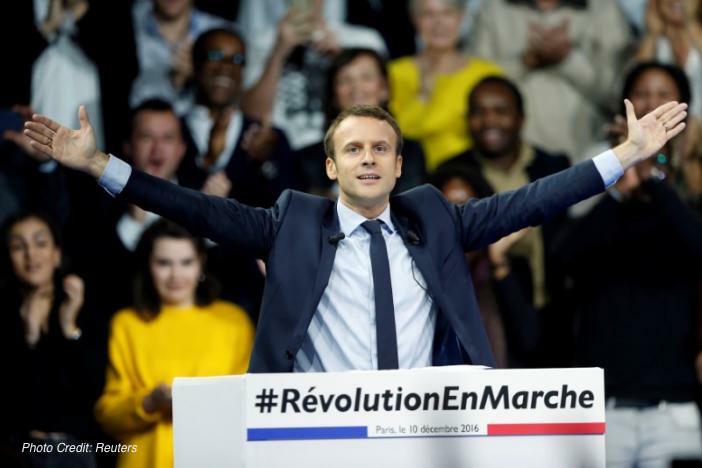 Almost unknown three years ago, he presented himself as an alternative to traditional parties, entering the competition as an independent player with his newly created movement, En Marche!. Appointed Minister of Economy, Industry and Digital Affairs in 2014 under the second Valls Government, this newcomer, who is now putting his first steps into the Elysée Palace, has never been elected to public office previously. Did the media play an important role in this election? If not the most important, then certainly they played a more decisive role than in previous elections. Macron received extensive media coverage and it is impressive how extensively the press reported on his personality, depicting him as the only one who could save France from the dangers of far-right extremism. Among the features that made the French press go wild, a few stood out over the others. Young, handsome and romantic, Macron represented renewal and modernity. Affiliated neither with the right nor the left, he has been pictured as a charismatic outsider (in this respect please have a look at the documentary “Macron, les coulisses d’une victoire” by Yann L’Henoret). In a certain way, Macron was the new man coming to rescue France from the corrupt and full-of-wrinkles old politicians. In this context, two elements deserve to be underlined. The first one is that the victory of Macron reiterates, again, that traditional political parties have practically become démodé. This is not only in the case of France. Let us consider, for instance, the “Movimento 5 Stelle” in Italy or the freshly created movement of Matteo Renzi, former Italian prime minister, “In Cammino” (clearly Macron-inspired). Traditional parties, as well as splitting the political terrain into left and right, seem nowadays old-fashioned. Desire for change and social discontent are nurturing these new-and-not-affiliated political creatures. The second interesting element is that large press coverage could be the key to succeed in an electoral competition. This is not new, of course, but perhaps it should be taken into account in a more comprehensive manner. The point is this: the model of a self-fulfilling prophecy seems to be the typical modus operandi of media. Moreover, it is not unrealistic to state that if citizens are constantly exposed to a political personality, they will tend to develop a certain affection for it. The personalisation of politics, as well as the role of media endorsement in reputation building, is a real phenomenon. But let us explore more closely Macron’s proposals and, specifically, those targeting Europe, which were some of the highlights of his campaign (it is interesting to note that he chose Beethoven’s Ode to Joy, the EU anthem, when he spoke in front of his supporters while celebrating the result). 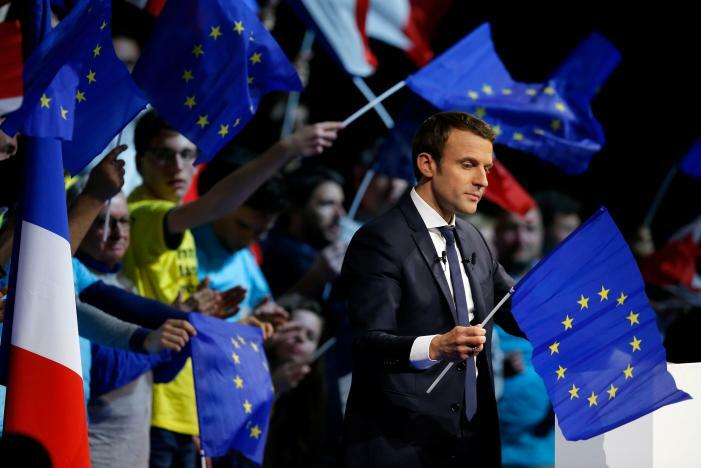 In more general terms Macron recognises that Europe represents additional protection for France, but he criticizes the lack of coordination among Member States in terms of policies. In fact, when Macron talks about Europe, he talks about a more ambitious and efficient Europe, which at the same time “invests and protects”. Talking about concrete measures, Macron proposes the organisation of a series of conventions citoyennes “giving voice to the people”. Starting at the end of 2017 and lasting around 6-10 months, these conventions will take place all over Europe and will explore and examine the priorities, content and scope of EU action, in order to define a sort of brief roadmap to inspire governments.  The purpose is “giving a new meaning to the European project”. Another noteworthy proposal affects young people directly, as it aims at enlarging the participation to the Erasmus programme, with the aim of encouraging 200,000 young French students a year, to partake in the exchange programme by 2022. According to Macron, it is time to boost all concrete initiatives that show the familiar face of Europe, to reduce the distance between citizens and EU political institutions. The Erasmus programme represents one of the biggest accomplishments of European Union, especially since its results are tangible. There is a lot of work to do for Macron, the first challenge being next month’s legislative elections. What is at stake is the the integrity of Macron’s new vision for France and its implementation, but also the future of Europe. The challenge is still open.